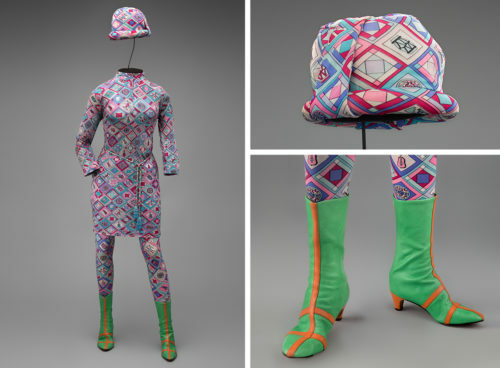 Eighty-five years of airline fashion are now on view at San Francisco International Airport, courtesy of the SFO Museum. 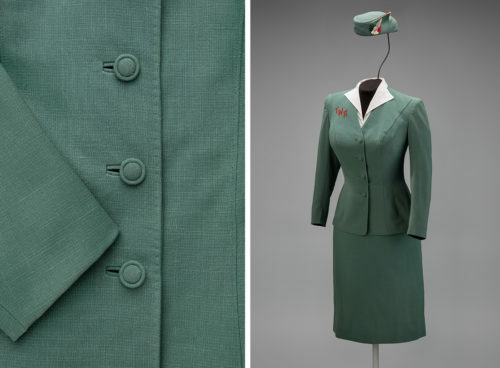 Fashion In Flight: A History of Airline Uniform Design includes over 70 complete ensembles and accessories from the likes of Dior, Balenciaga, Yves Saint Laurent, Oleg Cassini, Vivienne Westwood and others and offers insight into the design history and evolution of the airline uniform, its iconic status in popular culture, and its dynamic relationship to the world of fashion. Here are more samples from the exhibition, which is on view through January 2017 in the International Terminal Main Hall & in the Aviation Museum and Library.